Make yourself comfortable in this individually decorated apartment, featuring a kitchen with a full-sized refrigerator/freezer and an oven. There's a private balcony. A 40-inch flat-screen television with cable programming provides entertainment, while complimentary wireless Internet access keeps you connected. Conveniences include a separate sitting area and a microwave. A stay at this apartment places you in the heart of Dublin, steps from Bord Gáis Energy Theatre and Grand Canal. This 4-star apartment is 0.5 mi (0.9 km) from Dublin Port and 0.5 mi (0.9 km) from The Convention Centre Dublin. Nestled in between some of Dublin's most iconic venues, with an abundance of things to see and do right on the doorstep. Perfect for a city break, business meeting or family getaway. Maldron Hotel Pearse Street has comfortable, spacious, well-appointed double, twin and family rooms designed to ensure you have a great stay. 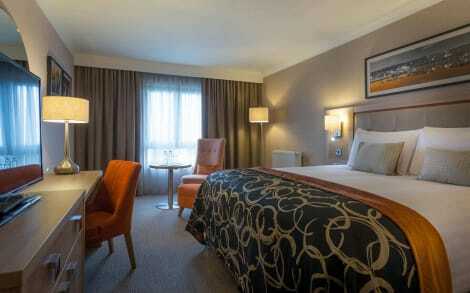 Maldron Hotel Pearse Street is located just 11km from Dublin Airport. There are a number of transport options available including; taxi, aircoach, airlink 747 and Dublin Bus. If you are driving there are limited onsite underground parking facilities at the hotel from €10 per night, subject to availability. Please note...smoking is not permitted within the hotel. This 4-star hotel stands a short walk from the 3Arena and the Grand Canal Theatre. All the rooms come with free wifi, to keep you connected. You can also make the most of the onsite health club, indoor pool, sauna and hot tub during your stay. 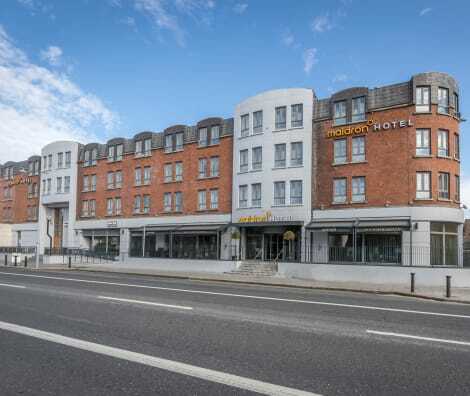 The modern 4-star Clayton Hotel & Leisure Club Cardiff Lane is a short walk away from River Liffey and the Grand Canal, where you’ll find some of Dublin’s best attractions including the Bord Gais Energy Theatre, ideal for catching a show. Make a splash in the hotel's pool (All guests using the swimming pool must wear a swimming hat), or relax in the spa tub, sauna and steam room before enjoying some delicious Irish cuisine in the Stir Restaurant. Free wifi is available in every room, alongside interactive TVs and private bathrooms. This comfortable hotel is located in Trinity College. The property comprises 31 cosy units. Those who dislike animals may enjoy their stay, as this hotel does not allow pets. The 4* star Deluxe hotel has gone through a complete refurbishment in 2017 and offers a strikingly beautiful décor and all rooms. Located in downtown Dublin, within walking distance of Dublin’s key city business district and shopping areas. It offers excellent meeting facilities and fashionable cocktail bar and dining facilities. 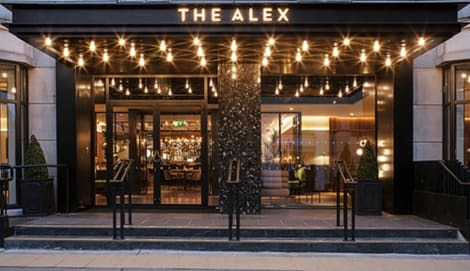 All guest rooms are spacious (30sq ft) and hotel's restaurant, bar and meeting facilities have all undergone a full refurbishment to offer a new deluxe modern style hotel. All rooms are individually air conditioned and free Wi-Fi throughout. Superb city centre location and great access to cultural attractions and business areas, including Financial services area main convention centres in Dublin. The hotel also has a new Executive Lounge.